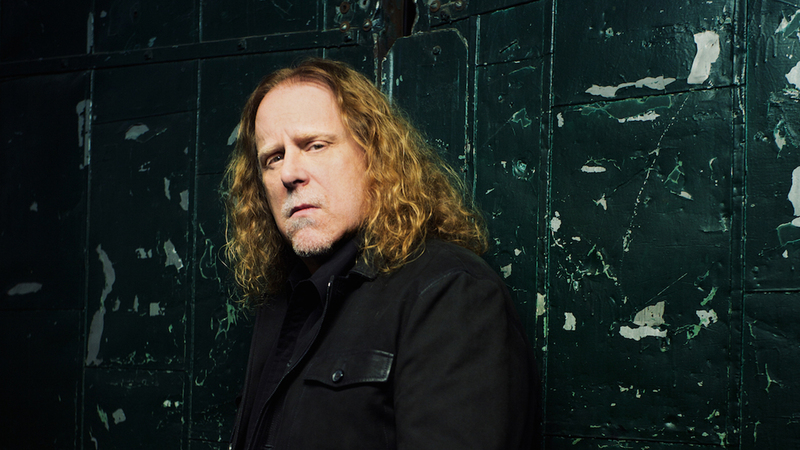 Growing up in Asheville, North Carolina, legendary guitarist Warren Haynes was exposed to the world of rock and blues at an early age. Since then, the Grammy Award winner has risen to the top, becoming one of the greatest guitar players in the world. The long list of accomplishments he has to his name include jamming with The Dead and playing with The Allman Brothers Band, two of the most influential bands in the industry. In addition to these accomplishments, the icon also continues to create music and tour with his own jam band, Gov’t Mule. One thing is for sure: Haynes sure does know how to keep busy. The “Soulshine” singer’s latest venture comes with great importance. On October 14 and 15, Haynes has the honor of leading a great group of musicians in the second annual event commemorating the late Jerry Garcia of The Grateful Dead, called Dear Jerry: Let’s Play 2. 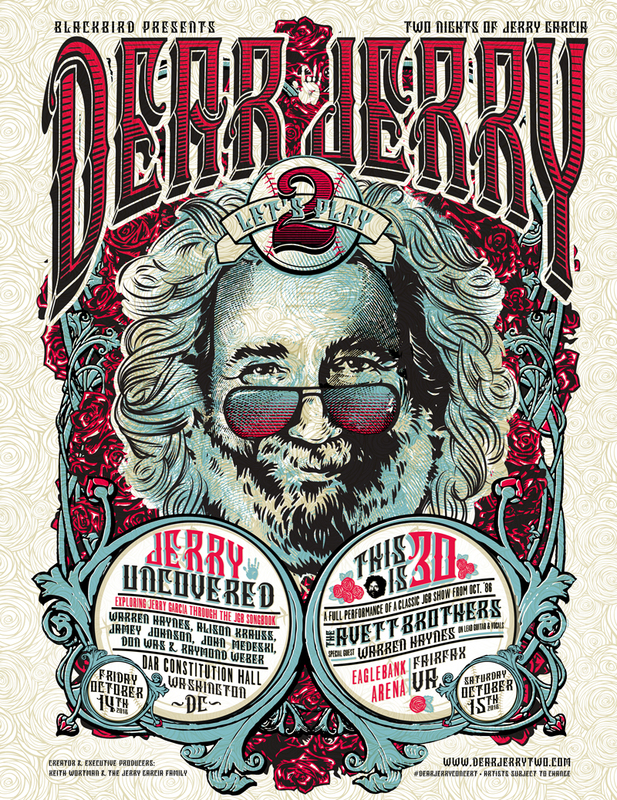 With the success of last year’s Dear Jerry event in Maryland, which included Bob Weir and Grace Potter, this year’s event has been upgraded to two nights and will surely be another one for the books. The first night in Washington, DC includes a lineup packed with big names and representation from a variety of genres, including bluegrass singer Alison Krauss and jazz pianist John Medeski. The second night in Fairfax, Virginia will be a special treat, where Haynes sharing the stage with The Avett Brothers. Check out our interview with Haynes below, then grab Tickets to Dear Jerry: Let's Play 2. You grew up in North Carolina. What was the music scene in Asheville like when you were younger and how has it changed? It was always cool and there was always a lot of great musicians but it has expanded way beyond that now. It’s become like a smaller version of Austin but maybe a little more organic and diverse. What was the first concert you ever went to and where was it? What kind of impression did it leave on you? When I was 12 I went with my older brother to the Asheville Municipal Auditorium (long since torn down) to see the Edgar Winter Group. It was amazing-blew my mind. The Marshall Tucker Band was the opening act. No one knew who they were as their first LP was not out yet but they made a strong impression as well. Throughout the years, you’ve played with a handful of the world’s best musicians. What’s the most meaningful advice anyone in the business gave you? Actually more than a handful. I’ve been very fortunate to have played with so many musicians that I grew up listening to and studying. I’m very grateful for that. Probably the best advice, which came from many of them, was to not chase the trends-to do what’s in your heart and try to make music that doesn’t have an expiration date stamped on it. You have the privilege of leading the pack of great artists who will be honoring Jerry Garcia at Jerry Garcia at Dear Jerry: Let’s Play 2. Did you ever get a chance to see Jerry perform live? I saw the GD once in 1979 then four more times between 1989 and 1995. I saw the Jerry Garcia Band once at the Greek Theater in Berkley. I had a few chances to meet him but never did. One night Bruce Hornsby invited my wife, Stefani, and I to sit on stage at a Grateful Dead show at Madison Square Garden and watch the show from behind his piano. It didn’t seem like everything was going smoothly that night so when someone asked if I wanted to say “Hi” I thought ‘No, I’ll wait till next time’. There was no next time. Lesson learned. What do you feel is the most important part about keeping Jerry’s legacy alive? That’s hard to answer. I think his spirit of openness and ever-changing, which was all part of his musicality, is very important but maybe the amount of great songs he wrote or co-wrote is even more important. His legacy will keep itself alive. It doesn’t need anybody’s help. On night two of Let’s Play 2, you’re teaming up with fellow North Carolinians, and friends, The Avett Brothers. Can you give us a preview of what the fans can expect from this collaboration onstage? Well, it will be the first time we’ve played together in this way meaning I’ll be on stage with them for the whole show. It’s gonna be very spontaneous. The Dead fans are notoriously passionate. What do you love most about playing in front of Jerry Garcia fans? I guess it would be the obvious impact that his music has made on a whole scene of music fans. And it’s a deceptively large scene that the GD built organically without mainstream media. I’m always amazed at how many people I meet who are part of that. What's one venue you're really looking forward to playing with your band Gov’t Mule? If you mean a venue that we’ve played before, I always look forward to playing Red Rocks which we just played. As far as a venue we’ve never played, we haven’t played Madison Square Garden yet. I’ve played there quite a few times with the Allman Brothers, the Dead, etc. but Gov’t Mule has never played there. Are there any artists you’ve recently seen live that our readers should look out for? The Marcus King Band. Marcus is a twenty year old guitarist from South Carolina with an amazing voice who writes great songs. He’s the best young guitar player I’ve heard since I first heard Derek Trucks. His band is fantastic. They’re gonna take the world by storm.